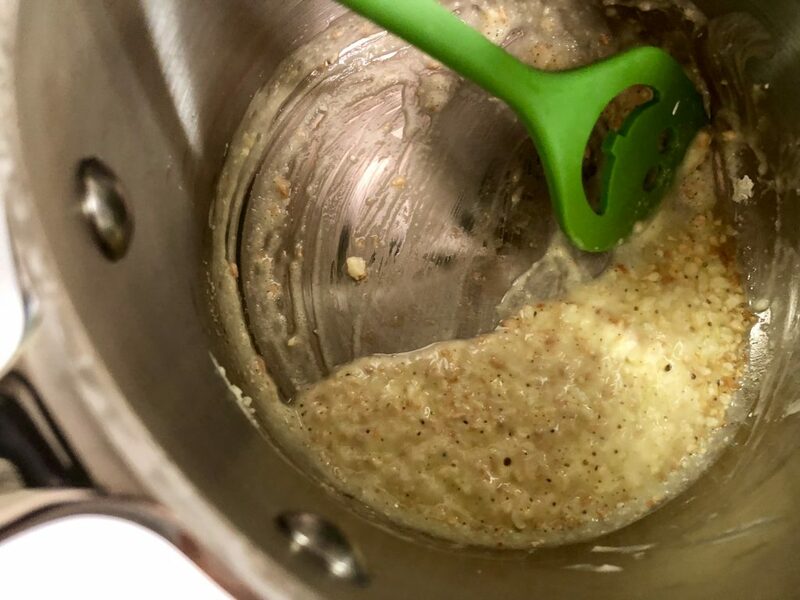 I wanted to share a recipe that I’ve been working on for a bit and think you’ll love. 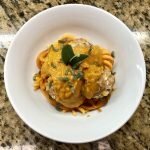 Baked Turkey Meatballs with Vegan Pumpkin Sauce, and yes, the whole dish is DAIRY and GLUTEN FREE. SORRY I’M YELLING I’M SO EXCITED! This recipe is hearty but not overly rich and is the perfect, wholesome Fall dinner. And don’t be intimidated by the long list of ingredients. You probably have all of them in your pantry. Hope you love it!! 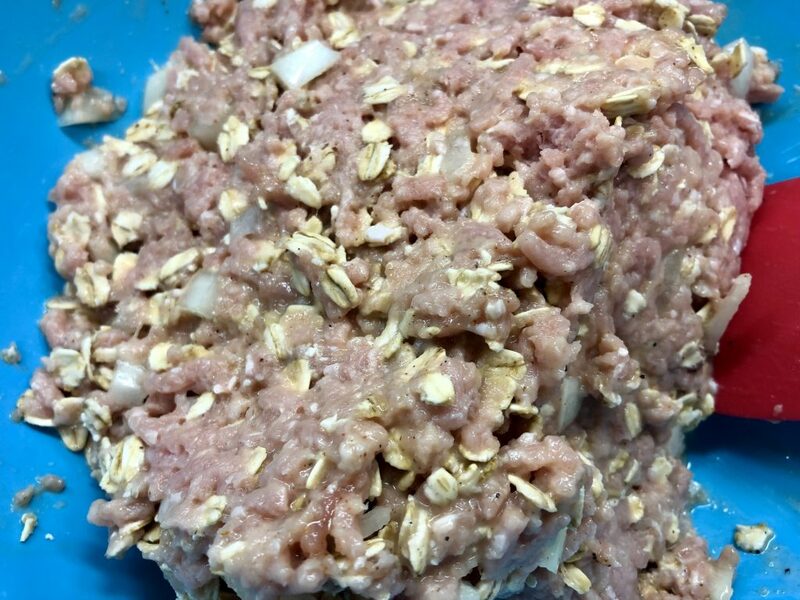 In a large bowl, combine all meatball ingredients and mix. 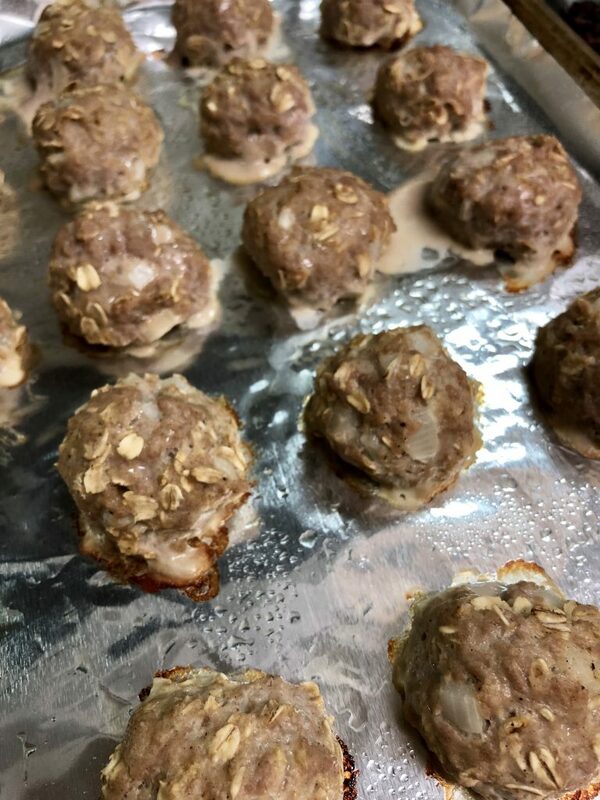 Form into tight balls, about 1 – 2 tbsp each, and place on the prepared pan. Bake for 10 – 15 minutes, until cooked through (no longer pink inside). While the meatballs are baking, heat olive oil over medium heat in a small sauce pan. 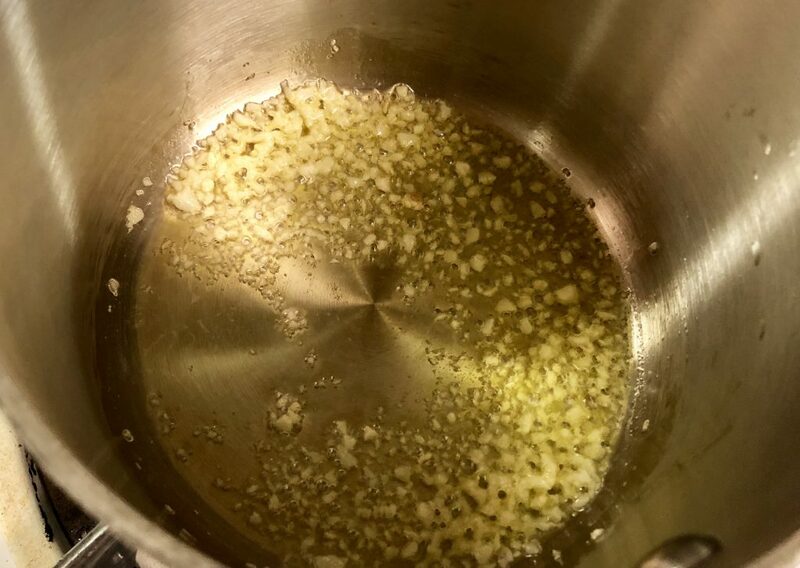 Add the garlic and saute for 1 minute. Add in the cornstarch and mix (this will soak up the oil in the pan), and immediately add the milk. Bring to a boil, add the cinnamon, and reduce heat to low. Simmer for 2 minutes, stirring frequently. Remove from heat and add in the pumpkin, nutritional yeast (if using), salt and brown sugar. Toss the meatballs in the sauce and mix with your noodles of choice. 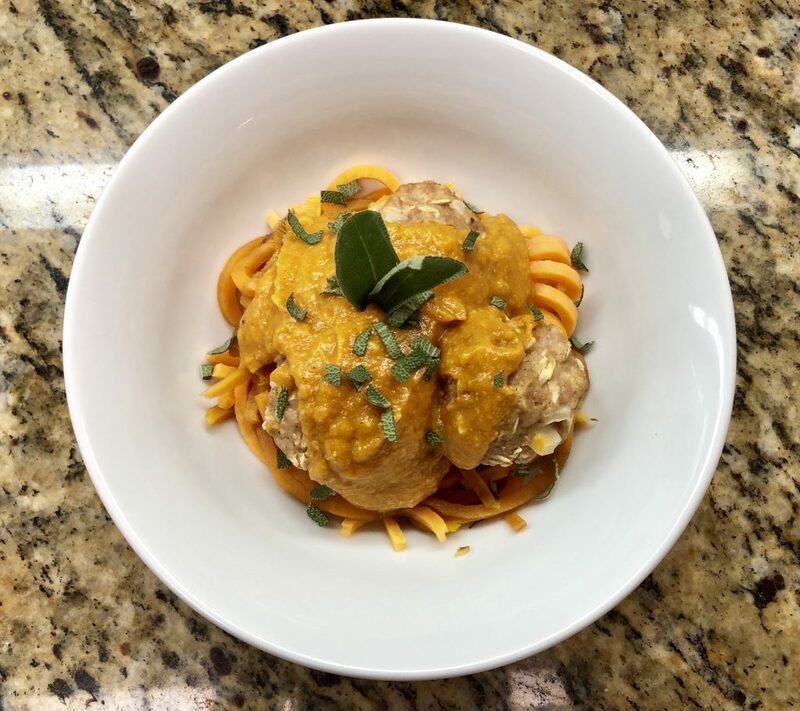 I made this with sweet potato noodles which really just added another texture to the dish, but this would work well with all sorts of veggie noodles, regular pasta, or spaghetti squash! I feel like this would be delicious with butternut squash noodles, but I haven’t tried it yet! Garnish with chopped fresh sage and a sprinkle of cinnamon et voila! 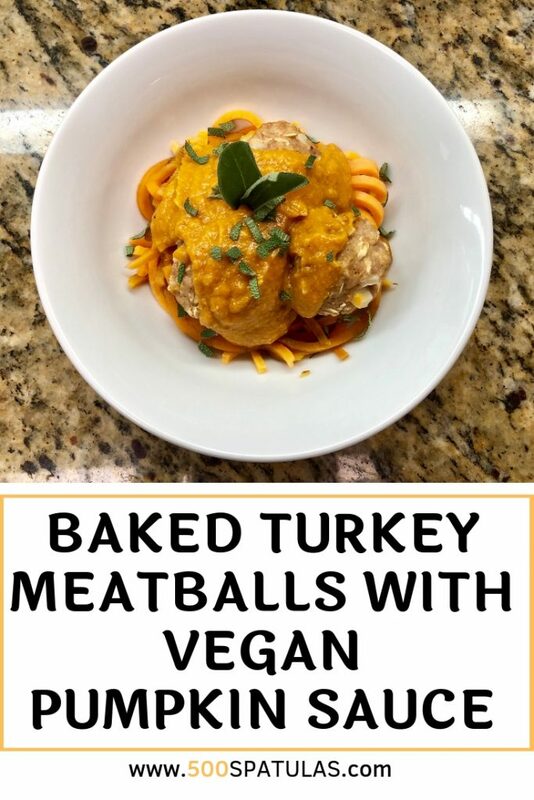 These Baked Turkey Meatballs with Vegan Pumpkin Sauce are dynamite and don’t be scared of the ingredients or long list of steps. It all comes together super fast for a delicious, wholesome weeknight dinner! Preheat oven to 425 degrees. Line a sheet pan with aluminum foil and grease with cooking spray. Set aside. 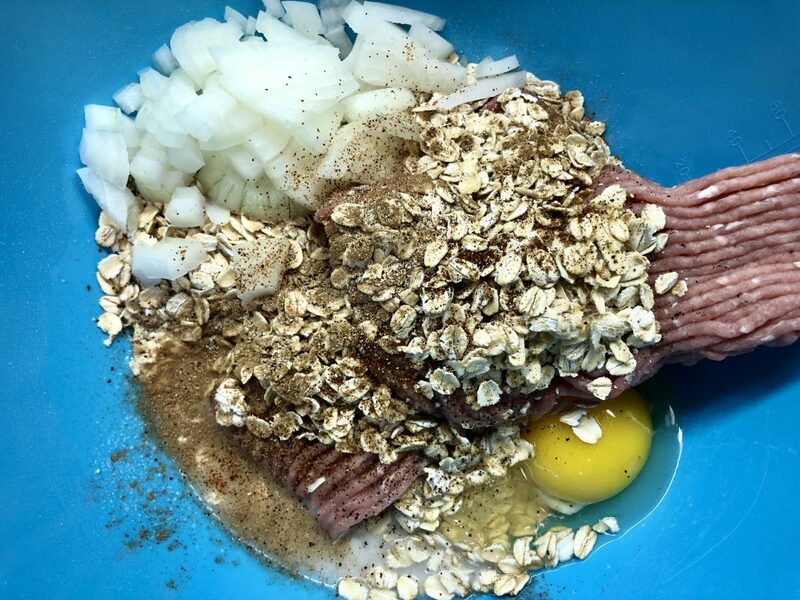 In a large bowl, combine all meatball ingredients and mix. 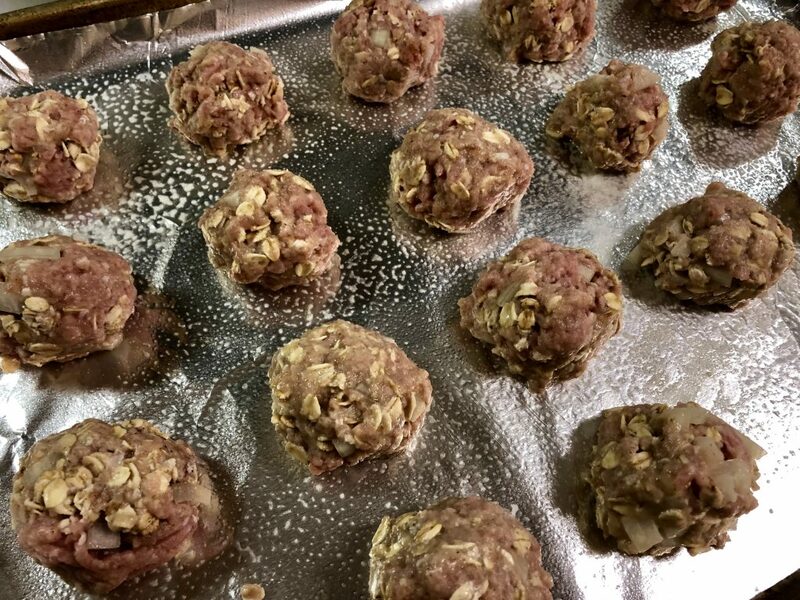 Form into tight balls, about 1 - 2 tbsp each, and place on the prepared pan. Bake for 10 - 15 minutes, until cooked through and no longer pink inside. While the meatballs are baking, heat olive oil over medium heat in a small sauce pan. Add the garlic and saute for 1 minute. Add in the cornstarch and mix (this will soak up the oil in the pan), and immediately add the milk. Bring to a boil, add the cinnamon, and reduce heat to low. Simmer for 2 minutes, stirring frequently. 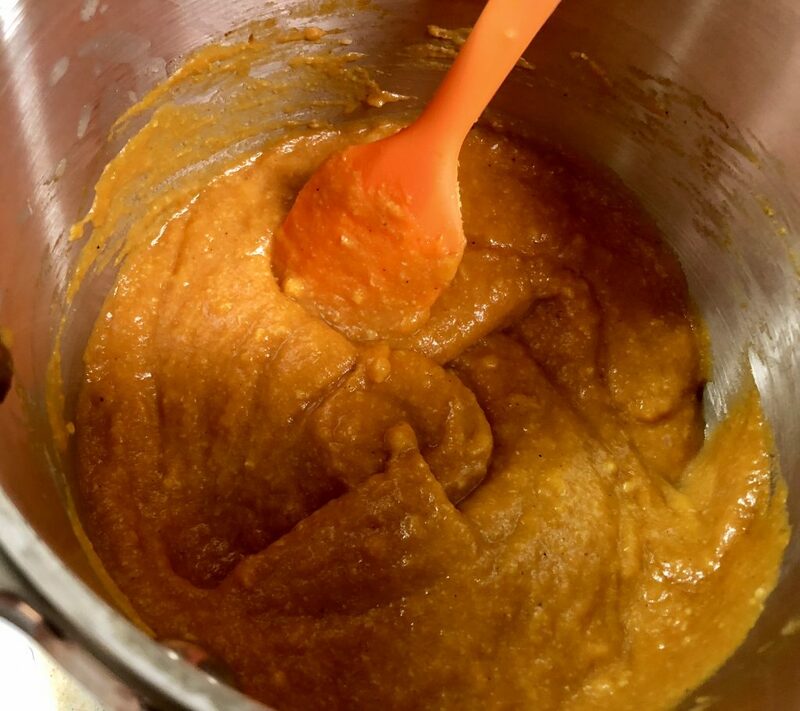 Remove from heat and add in the pumpkin, nutritional yeast (if using), salt and brown sugar. Toss the meatballs in the sauce and mix with your noodles of choice. Garnish with chopped fresh sage and a sprinkle of cinnamon.